According to The Hollywood Reporter, Universal Pictures has finally found a Cowboy Ninja Viking director in sought-after TV helmer Michelle MacLaren (Breaking Bad, Game of Thrones), who beat out Jennifer Yuh Nelson (Kung Fu Panda) and Rick Famuyiwa (Dope) for the job. Fans will remember that MacLaren was originally set to make here feature directorial debut with last year’s Wonder Woman before she left over creative differences. She most recently helmed the pilot for HBO’s The Deuce, and also has the WWII thriller The Nightingale in development at Tri-Star. Universal previously courted the directing duo of David Leitch and Chad Stahelski (John Wick) as well as World War Z‘s Marc Forster to helm the film. Chris Pratt (Guardians of the Galaxy and Jurassic World franchises) will star as a new kind of assassin who manifests the toughest skills of three different personas: COWBOY NINJA VIKING. The hard-edged actioner laced with attitude is based on the Image Comics graphic novel by AJ Lieberman and illustrator Riley Rossmo. The film version of Cowboy Ninja Viking features a screenplay originally written by Zombieland and Deadpool scribes Paul Wernick and Rhett Reese, which was rewritten by Craig Mazin (The Hangover Part II, Identity Thief). Guymon Casady, Ben Forkner and Mark Gordon are attached to produce. 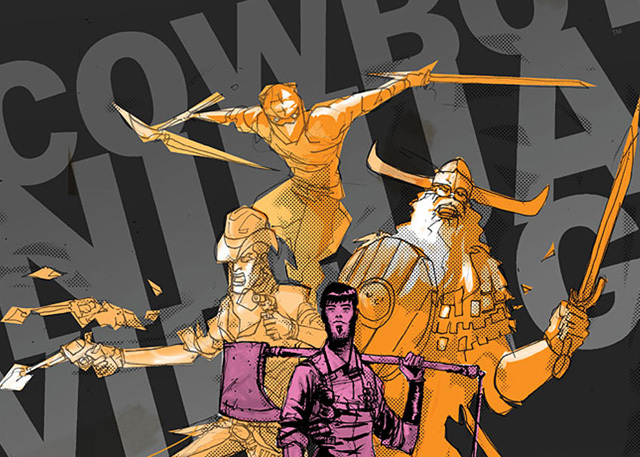 Cowboy Ninja Viking will arrive in theaters on Friday, June 28, 2019.